Apply Now to Attend the USJC Annual Conference in Washington, D.C.! Join us for the TOMODACHI Workshop at the 2017 U.S.-Japan Council Annual Conference at the JW Marriot Hotel in Washington, D.C. from November 11-15, 2017. TOMODACHI aims to provide transformative experiences. As a TOMODACHI Alumni Speaker, we would like you to share your story of how TOMODACHI has transformed you, what challenges within your community and society you would like to address, and what further action you’ve taken towards this change. We are looking for good storytellers who can also lead small group discussions at the TOMODACHI Workshop to be held on Monday, November 13, 2017. The workshop themes will be on the four pillars of the TOMODACHI Alumni Leadership Program. (See www.tomoalumni.org for further information on the four pillars.) 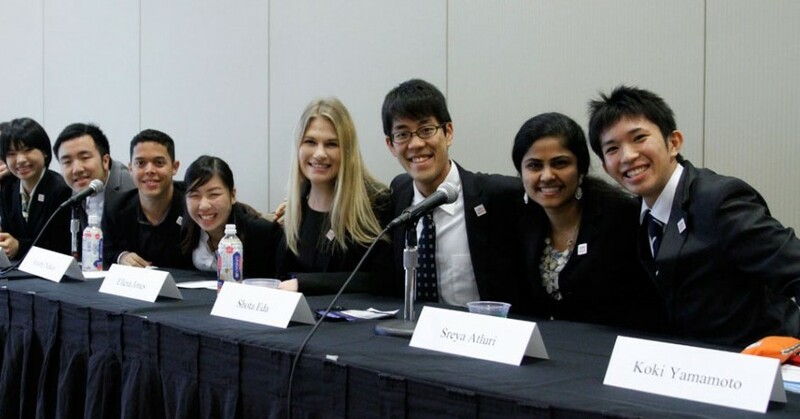 Selected Alumni Speakers will be able to attend the U.S.-Japan Council Annual Conference for the entire duration and have the opportunity to connect with the wealth of the U.S.-Japan Council network of active leaders in the U.S.-Japan relationship. The U.S.-Japan Council Annual Conference is a gathering of the greatest minds actively invested in U.S.-Japan relations today. The electrifying atmosphere of the conference – filled with workshops, panels, and networking opportunities – will truly be a life-changing experience. Don’t miss this opportunity! Eight (8) alumni will be selected to be TOMODACHI Alumni Representatives at the 2017 USJC Annual Conference (5 Japanese and 3 Americans) and travel to Washington, D.C. on November 11-15, 2017. (Those living in Japan will return back on Thursday, November 16, 2017). Opportunity to attend U.S.-Japan Council Annual Conference 2017 in Washington, D.C. Opportunity to be a speaker and lead small group discussions with the best and brightest minds interested in addressing the social issues within Japan, the United States and U.S.-Japan relations today. Flights and lodging costs to travel and stay in Washington, D.C. between November 11 to 15 (returning to Japan on November 16). Travel dates cannot be altered; Only roundtrip tickets will be provided. Minor stipend will be provided to cover food & beverage, and domestic ground transportation. Must be a TOMODACHI Alumni; member of the TOMODACHI Generation. We are looking for good storytellers who can also lead group discussions on one of the four pillars of the TOMODACHI Alumni Leadership Program. Embodies the TOMODACHI Generation identity and can represent the TOMODACHI Generation. Must be able to travel from November 11th-15th2016 (returning to Japan on November 16th). Must have a good command of the English language to actively lead and take part in discussions at the USJC Annual Conference. Fill out applications online. Select one of the two links below according to your nationality or place of origin. You will be notified of the selection results by October 20, 2017. If you have any questions, please contact the Kaoru Utada Furuya (TOMODACHI Alumni Manager) at kutada@usjapancouncil.org . This opportunity is part of the TOMODACHI Alumni Leadership Program, made possible with generous donations by The Prudential Foundation.